Astral Doors is back with their second album, Evil Is Forever. This album is a great nod to classic bands such as Dio, Deep Purple, Rainbow, and post-Ozzy Black Sabbath. However, Astral Doors injects some "metal" energy and attitude into their music, which provides a refreshing edge to the sound. There will be those who complain about a lack or originality with this band. I can only chalk that type of criticism up to coming from people who are simply looking for something to complain about. Obviously, not all bands can be original. However, there's nothing wrong with expecting each album to be of high quality. Just give me something good. On that count, Astral Doors have succeeded. Evil Is Forever is exactly what I had hoped Dio would have released last year, instead of the lackluster and lifeless Master of the Moon. One of the key elements to this band is vocalist Nils Patrik Johansson. His voice sounds remarkably similar to Ronnie James Dio, although he slurs his vowels a bit throughout the album. Still, the man sings with incredible passion, and he adds an expressive dimension to the songs. Nils can certainly sing with intensity and passion, but he can also vary his approach when called for. For example, Lionheart gets started with an acoustic guitar / organ into before rocking out. Nils uses a subtle delivery to start, but then explodes along with the guitars as the song develops into a hard rocking anthem. Equally as energetic are the musicians behind Johansson. Just like Nils sounds as if he's singing with every ounce of energy he has, the rest of the band sounds extremely passionate for the music they play. Particularly in the power and traditional metal genres, stale, many "copy-paste" bands have emerged over the years that seem to go through the motions when creating an album, failing to capture any genuine emotion or personality into their music. All the talent in the world cannot make up for a lack of passion or personality. For me, this is an intangible, yet crucial asset to a successful band. Even if the musical skills of a band are not in the upper tier, the band MUST have a passion for what they are doing, and be able to express that through their songs. Astral Doors have that special chemistry that emanates pure energy through their music. I really enjoy how Astral Doors are able to pull the best elements from their "ancestors," and apply that to a sound of their own. While I'm normally a big critic of the use of organs in my music, the guys have done a great job here. The organs have a distinct 70's feel to them, and are used at just the right spots throughout the album. For example, the organ solo in Time to Rock and the mystical intro to the title track add just the right amount of atmosphere to the songs, without overshadowing the other elements. Furthermore, the band doesn't sacrifice heaviness in order to incorporate organs into their sound. Time To Rock and Pull the Break are the two most straight forward rockers on the album, sounding like 20 year old, fist pumping Dio songs. Again, some may see that as a detriment, but Astral Doors pull off the feat in such a way that equates to the students of the genre teaching the master a thing or two. The band provides a nice balance on this album. Along with the straight forward rockers, you'll also hear mid tempo cuts such as heavily Rainbow influenced From the Cradle to the Grave and the groove laden, yet forceful cuts Evil Is Forever and The Flame. The album closes with an epic feel as Path to Delerium begins on a slow and dark note, yet is broken up by an uptempo explosion. The song mellows a bit toward the end, yet retains a haunting atmosphere that keeps things interesting for the seven minute duration of the song. Again, Nils varies his vocal approach on this song as called for by the music. Some dual guitar solos also find their way into this track, only adding to its appeal. All in all, Evil is Forever is certainly one of the stronger albums of 2005 for me, and confirms that the band's debut album was not just hype. Astral Doors are for real, and I am already hungry for the third album. 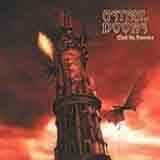 If you've ever enjoyed a Dio, Rainbow, or Deep Purple album, you owe it to yourself to check out Astral Doors.